Simple and practical is what the serving trolley from the Luxembourg collection by Fermob looks like. Inspired by the furniture in the Parisian Jardin du Luxembourg, the bar tray is full of charm and is designed with clear lines. The Frenchman Frédéric Sofia is behind the timeless design. The castors on the Luxembourg trolley make it possible to easily use it inside and outside and as flexibly as needed. A removable tray is located on the top, which you can use to bring meals and drinks directly to the table. 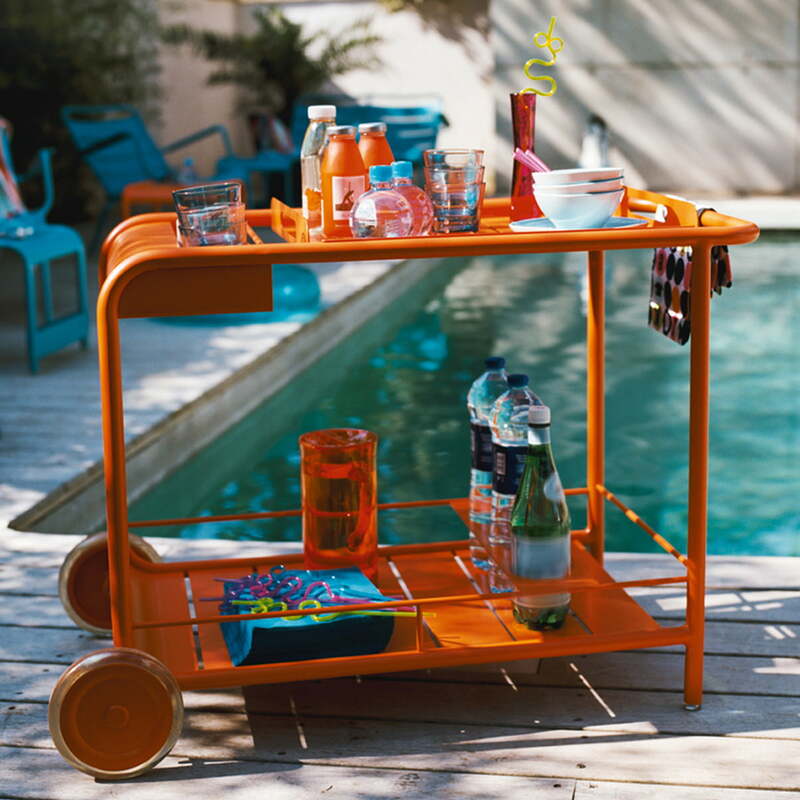 Whether entertaining guests or putting down utensils at a barbecue, the Luxembourg serving trolley impresses as a useful addition to the Luxembourg series as well as through being an individual piece for the outdoor area. 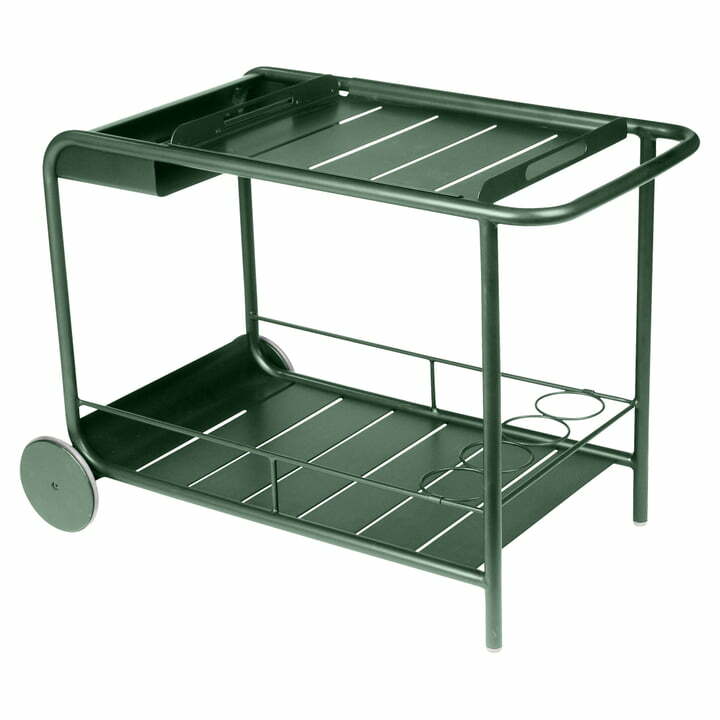 Fermob produces the Luxembourg serving trolley from aluminium powder-coated with UV protection lacquer. The ultra-effective protection treatment makes the Fermob trolley perfect for use outside. All the other colours from the large Fermob palette are also available on demand. The design of the Luxembourg Collection by the French company Fermob passes on all superfluous details and impresses by the apparent tradition and the simple forms.